Grating, dull and uninvolving, no amount of well-hewn animation can make up for the fact that this is the weakest film Pixar has ever produced. Yes, including "A Bug’s Life." Maya Angelou once wrote "When you know better, you do better," and these words have seemingly been Pixar's marching song since the studio's founding 25 years ago. But with the release of "Cars 2," the once unsurpassable animation colossus has tumbled, and, since we're churning up old adages, how about another one from Jimmy Cliff? "The harder they come, the harder they fall." 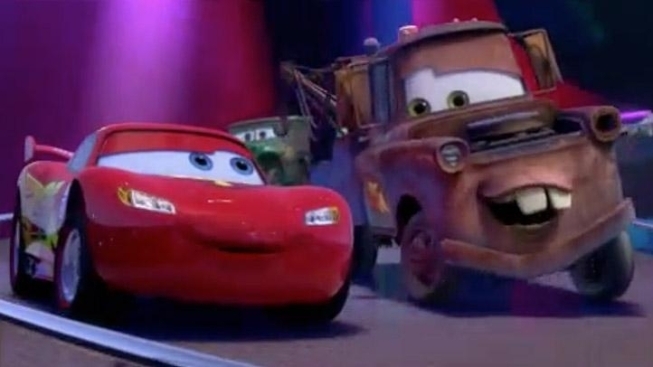 When it was announced that Pixar would be producing a second "Cars" film, it was met with some resistance but made sense considering that despite a slightly lackluster response from older audience members, a rarity for their films, "Cars" is the most successful of the studio's franchises when it comes to merchandising dollars. This second film, directed by Pixar grand puba John Lasseter with an assist from Brad Lewis ("Ponyo"), takes the beloved cars from the first go-'round, less Doc Hudson, voiced by dearly departed Paul Newman who passed away in 2008, on an international adventure called the Race of Champions, an event that travels from Japan to Germany, Italy, France, and England. It's all a fantastic excuse for Pixar to flex their animation muscles, creating truly stunning worldwide imagery (they even make off-shore oil rigs look magical and alluring), while also doling out a painfully weak storyline that centers on Mater, the tow truck voiced by Larry the Cable Guy who takes the lead away from Owen Wilson's Lightning McQueen for some unfathomable reason, as he's mistaken for a super spy. What has always made Pixar stand head and shoulders above the rest is their ability to craft stories that appeal to both children and adults but "Cars 2" prefers to pander, relying on slapsticky hijinks and brow-beaten life lessons instead. Most animated offerings tend to be critic proof (see: "Yogi Bear"), so there's no way "Cars 2" will disappoint at the box office. The real disappointment will purely be for audiences who know what Pixar is capable of and this isn't it.